Samsung Galaxy S10 5G doesn't launch in the UK until later this year, but we're already getting a rough idea of the sort of speeds we can expect from this next-generation handset when it does. South Korean mobile carriers have revealed some of the speeds recorded on the flagship smartphone when running on 5G networks. And it's truly astonishing. According to the latest reports, the Galaxy S10 5G can reach speeds of 4Gbps. To put that into perspective, 1080p films available to download from iTunes and Google Play Movies typically range from between 2GB to 4.5GB. As such, you could be able to download a Hollywood blockbuster in less than 10 seconds. Those kind of speeds are extremely rare in wired fibre broadband connections at home, let alone mobile data speeds. 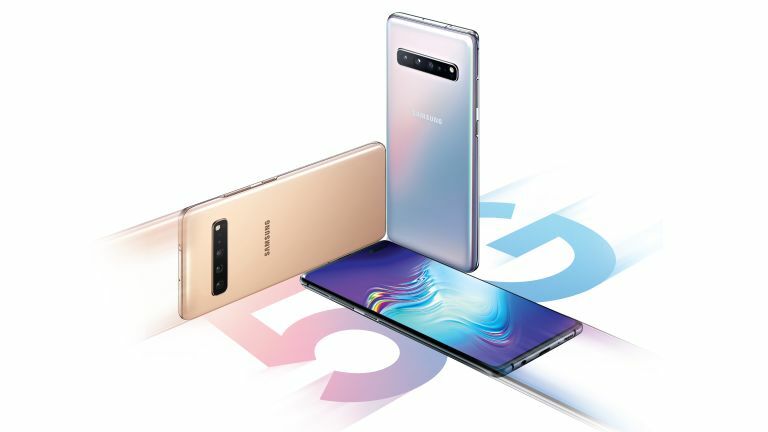 Mobile carrier SK Telecom has confirmed to SamMobile that it has successfully tested its 5G-LTE aggregation system on the Galaxy S10 5G. Using this technology, which combines 5G and LTE bandwidth, the handset hit a peak speed of 2.7Gbps. Those speeds will let you download a 2GB film in around six seconds. So, you can imagine how mind-bogglingly fast smaller bandwidth usages – like checking for emails, or refreshing a Facebook or Twitter feed – will be. To reach the unprecedented 4Gbps speeds, SK Telecom used its Triple Aggregation system with the handset. This combines 5G, LTE and Wi-Fi bandwidth simultaneously for data transmission. Triple Aggregation will be available to customers who own the Galaxy S10 5G later this year, SK Telecom has confirmed. This will unlock speeds of up to 4Gbps anywhere that all three networks types are found. Samsung Galaxy S10 5G will launch in the UK with the first wave of 5G networks. Unfortunately, there's no word on the final launch date, or price just yet.